In fact the flamboyant style he brought to Dior appears atodds with the somewhat austere designs at Maison Martin Margiela. 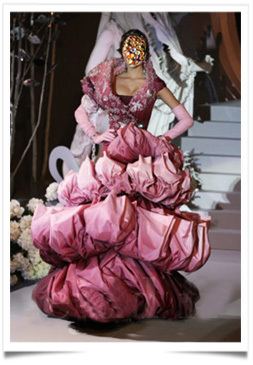 But as a multifaceted designer, Galliano will most certainly be the next designer who will blowup the fashion industry. Talent calls talent. That’s the way it is. This entry was posted in BREAKING MODE, BREAKING NEWS, FASHION SHOW PARIS 2015 and tagged fashionoutsider.net, modeaparis, modeparis.eu by admin. Bookmark the permalink.